Insurance carriers pay billions of dollars every year for property damage caused by fire and aggressively investigate subrogation possibilities through counsel, private sector origin and cause investigators, and engineering consultants. The origin and cause investigator is a crucial member of the subrogation investigation team. The investigator’s opinions traditionally form the foundation for the insurer’s decision to put potentially responsible parties on notice of potential claims and schedule a joint scene exam. The investigator’s opinions are also instrumental in an insurer’s ultimate decision on whether to file a lawsuit against a responsible third party. 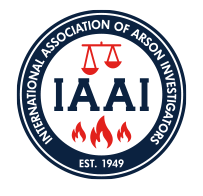 This presentation will discuss the subrogation investigation process for a fire loss with a specific emphasis on the origin and cause investigator and the avoidance of time consuming, costly, and potentially embarrassing mistakes. Topics will include: (a) how insurance company subrogation departments operate; (b) expectations of the origin and cause investigator; (c) interaction between the insurance company subrogation representative, subrogation counsel, and the origin and cause investigator; (d) interaction with the adverse origin and cause investigator and engineering consultant; (e) progression of a subrogation investigation through early file closure or trial; (f) commonly encountered investigation errors; (g) commonly encountered deposition/trial testimony errors; (h) evidence preservation and spoliation; and (i) keeping the client relationship intact.